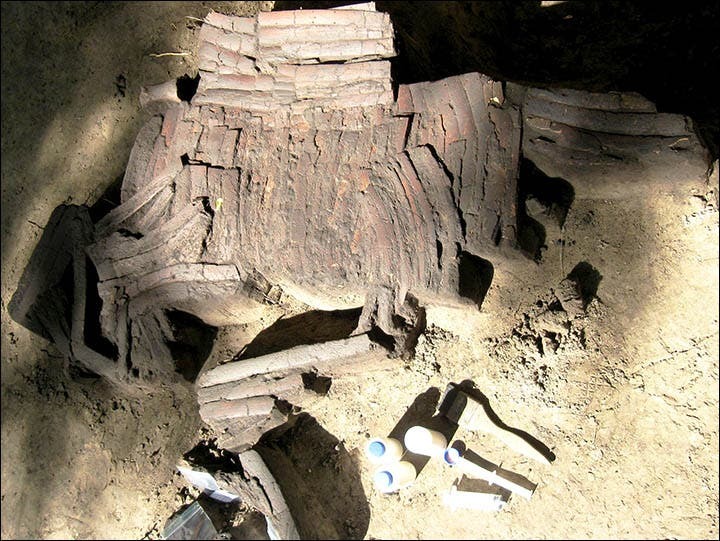 Archaeologists are intrigued by the discovery of a complete and well preserved warrior armor made from bones. This highly valuable find was probably a war trophy, and was worn by an elite warrior or warchief. The armour was in ‘perfect condition’, and nothing similar was ever found in the area (or anywhere else). 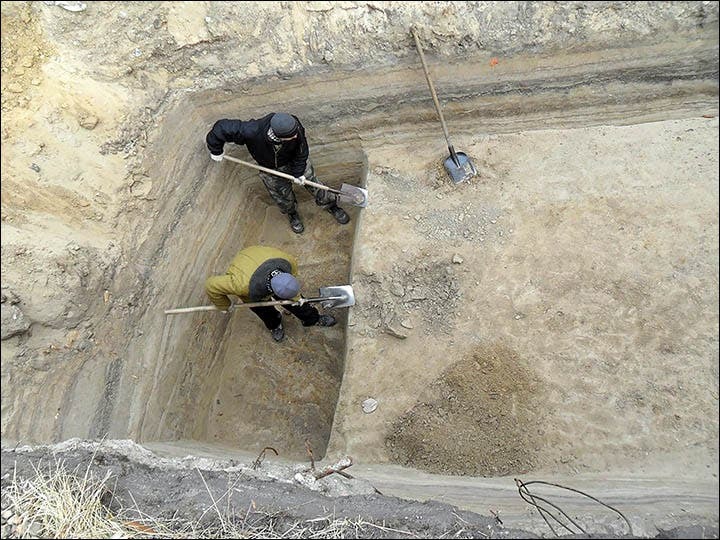 It was buried separate from its owner, and was found around Omsk, in south-western Siberia. It is probably an artifact from the Krotov culture, which is well documented in the area. The Krotov were animal breeders in the steppe and forest-steppe area of the Western Siberia Altai mountainous area of Russia. 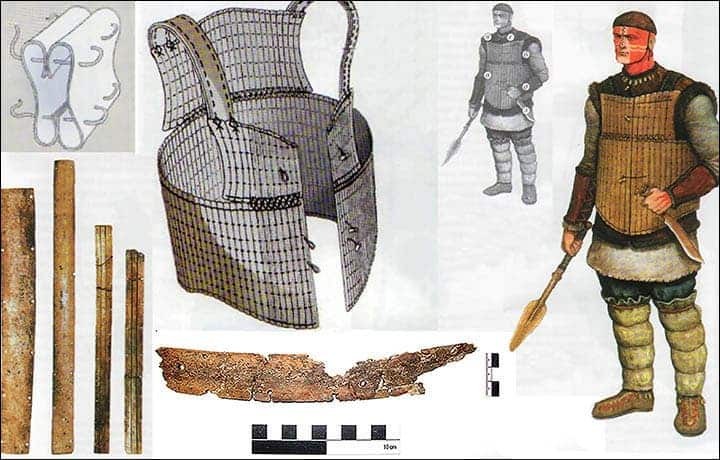 However, this armor seems more like something made by the Samus-Seyminskaya culture, who inhabited an area 1000 km southwest of the find. If this is indeed the case, then the armor may have been a gift or perhaps spoils of war. Archaeologists still haven’t figured out what from what animal bones the armor was made, but that should be fairly easy to figure out – after it is washed and cleaned. ‘We ourselves can not wait to see it, but at the moment it undergoing restoration, which is a is long, painstaking process. As a result we hope to reconstruct an exact copy’, Boris Konikov said. It’s not clear if the armor was used in combat or if it was more a trophy, but archaeologists believe it definitely would have been useful in fights. But one thing is for sure – due to its rarity and the difficulty of craftsmanship, the armor almost certainly belonged to a ‘hero’, a warrior of legendary status. The site where the armor was found also included a complex series of monuments belonging to different epochs. There are settlements, burial grounds, and manufacturing sites. Burials have been found here from the Early Neolithic period to the Middle Ages. The main, long term goal is to preserve and promote the site, helping the nearby community in the process.